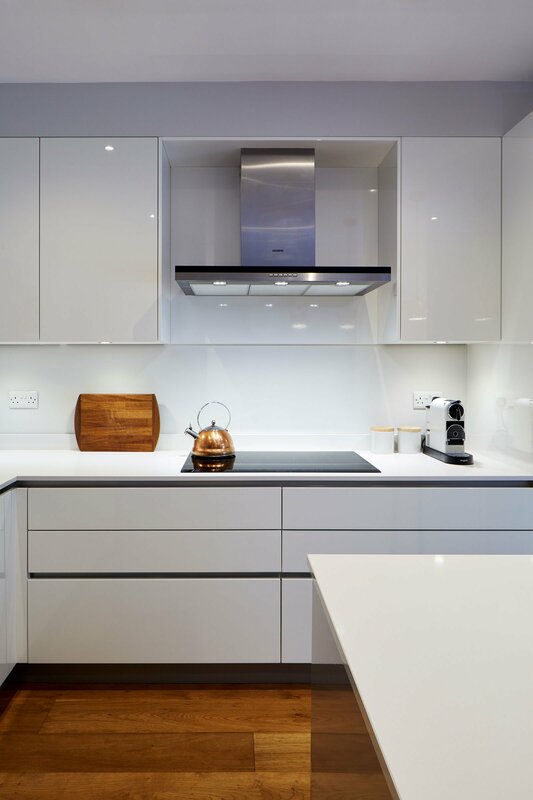 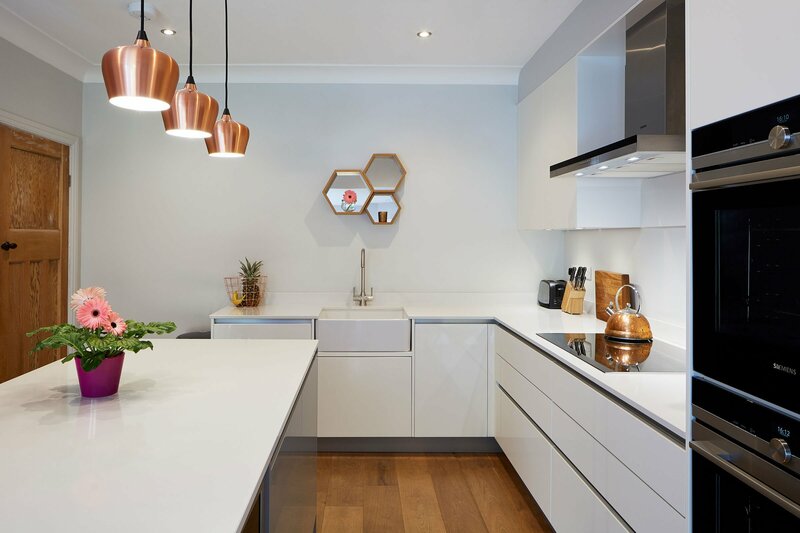 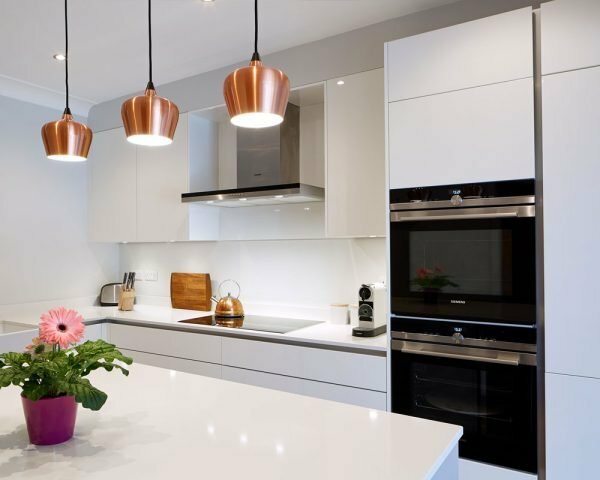 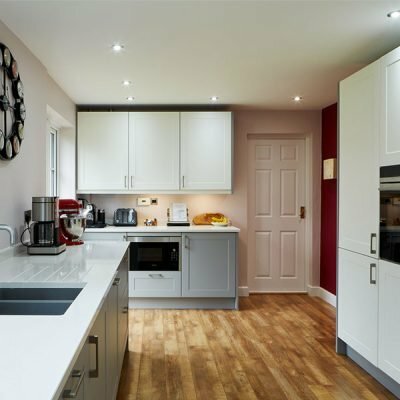 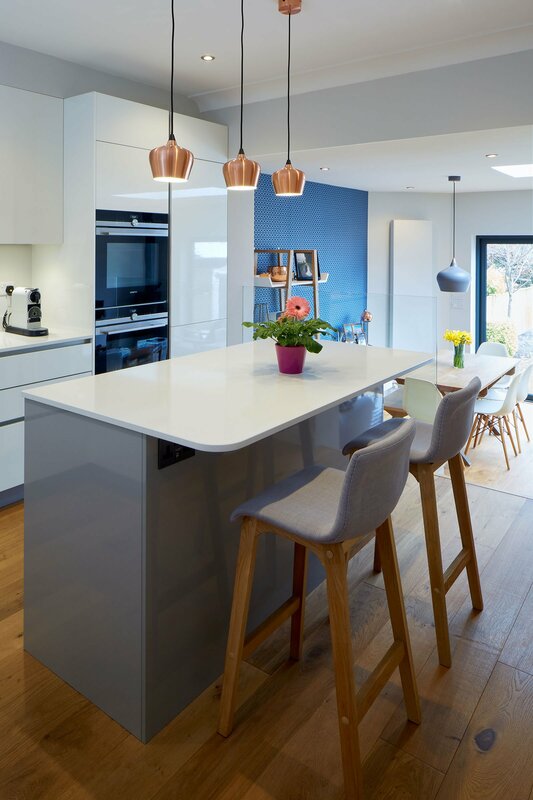 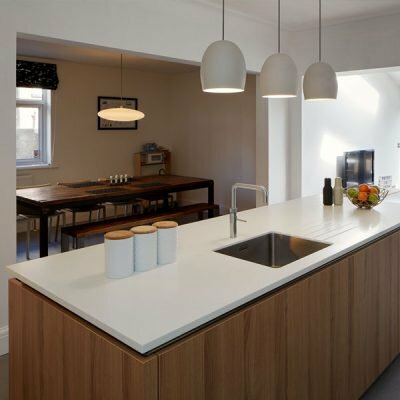 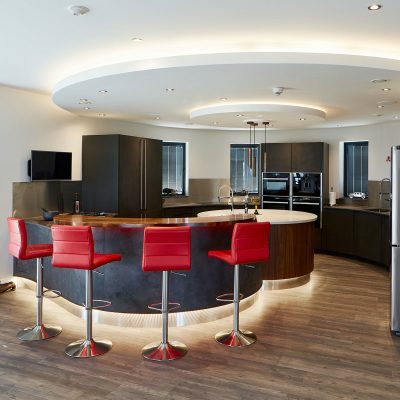 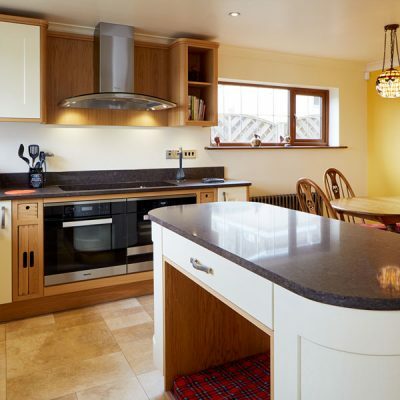 As part of a project to create a more versatile, open plan living space, through the addition of a single-story extension, we had the opportunity to transform what was an under-utilised dining room into a more practical kitchen space. 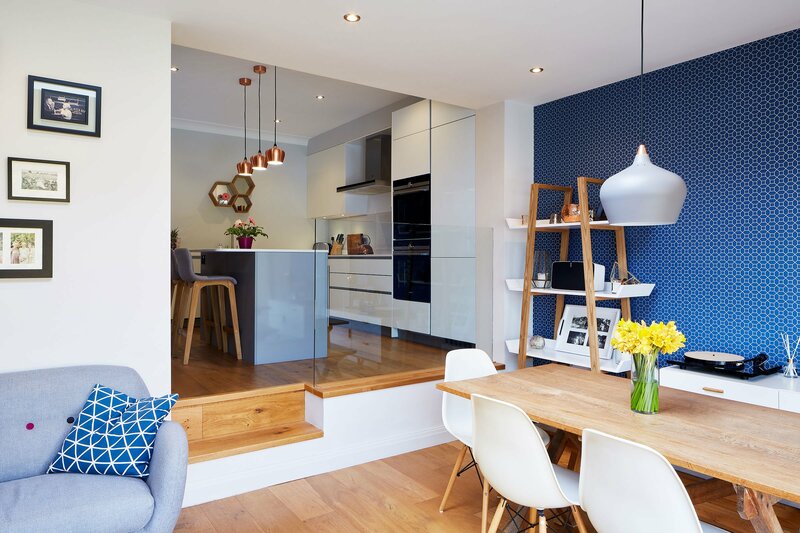 The extension created a light and spacious dining area as well as a relaxing living area, just a couple of steps away from the new contemporary kitchen. 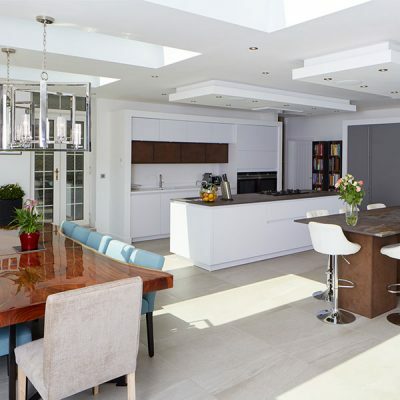 The split levels helped to zone the spaces whilst the frameless glass balustrade helped to create a seamless continuity between the two.